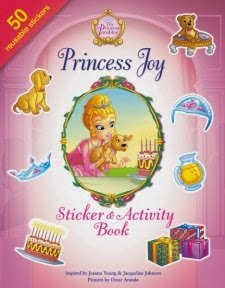 The Princess Parables come to life through age-appropriate puzzles, activity pages, and 50 colorful and reusable stickers in the friendly and fun Princess Joy’s Sticker and Activity Book featuring Joy, her four princess sisters, and their friends. My daughter absolutely loves this book! She is 7 and found all the activities pretty easy and enjoyable. The illustrations are beautiful and the stories that go along with the coloring and activity pages are just perfect for any little girl. I love that they're different activities to complete on each page. Some of the activities include word searches, counting, coloring pictures, find the differences, mazes, and dot-to-dots. My kids love stickers so the stickers are a great part of the activity book as well. This is a perfect activity book for any little girls aged 4-8!